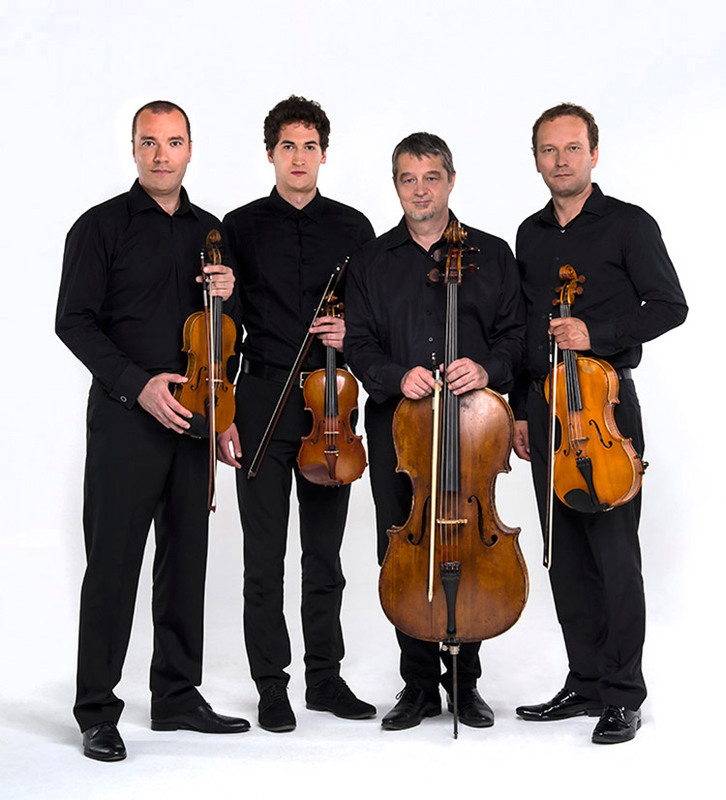 Founded as the first permanent and proffesional ensemble of its kind on Croatian musical scene, Zagreb Quartet held their first concert on April 25th 1919. 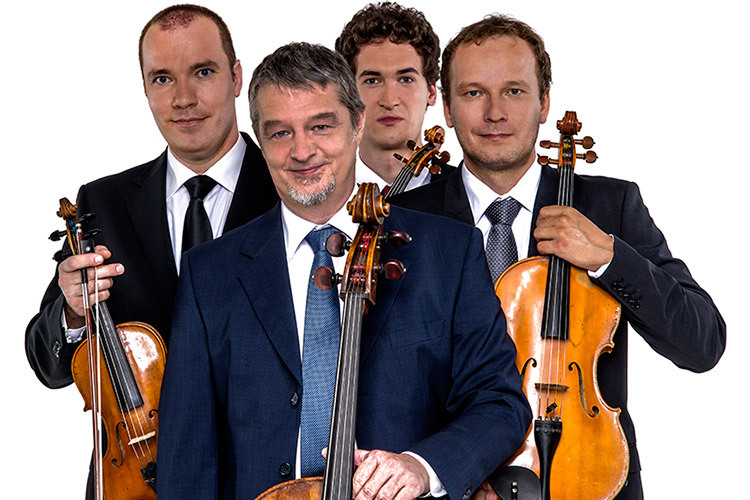 Members at the time were VĂˇclav Huml, first violine, Milan Graf, second violine, Ladislav ?katula (later Miranov), viola nad Umberto Fabbri, cello â€“ all of them professors atZagreb conservatory. During the first couple of decades, many musicians passed through the quartet (Jan Prybyl, Jan Holub, Francis E. ArĂˇny, Dragutin Aranyi, Zlatko Topolski, Stjepan ?ulek, Aleksandar Szegedi, Ljudevit Dobronji...), which has already took on high standards of performance, making until today a backbone of Zagreb and Croatian quartet music. 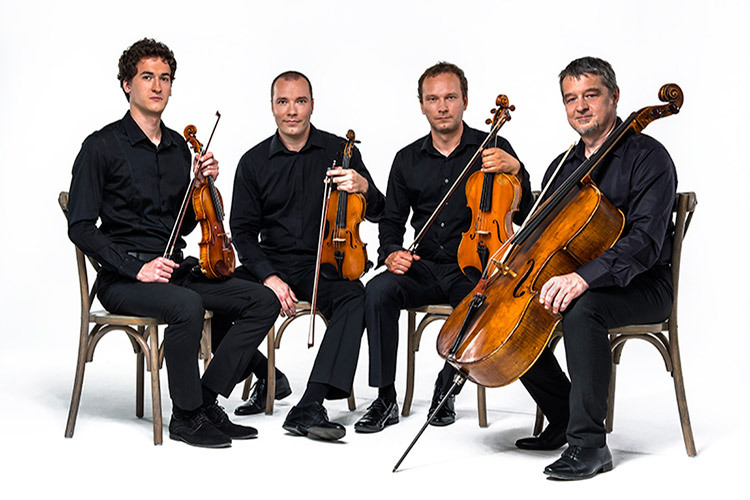 In the early stages, the Quartet formed a wide musical repertoire, ranging from classical music such as Hayden, Mozart, Beethoven, Brahms and so-called iron quartet repertoire, to contemporary composers with perticular emphasis on Croatian composers. In their perfomances works of Bo?idar ?irola, Josip ?tolcer Slavenski, Milko Kelemen, Marko Ru?djak, Frano Para?, Dubravko Detoni and numerous others were regularly included. In season of 1930 â€“ 1931 members set off on their first international tour to Czech Republic and Germany, earning flattering reviews and often reffered to as ?the famousâ€ś. Regular perfomances in Croatia and on international tours marked their existence to the present. Outside Europe, they held many grand tours across the United States, former Soviet Union, Russia, Canada, Australia, New Zealand etc. Cooperation with other prominent solo musicians also starts during their early phase. 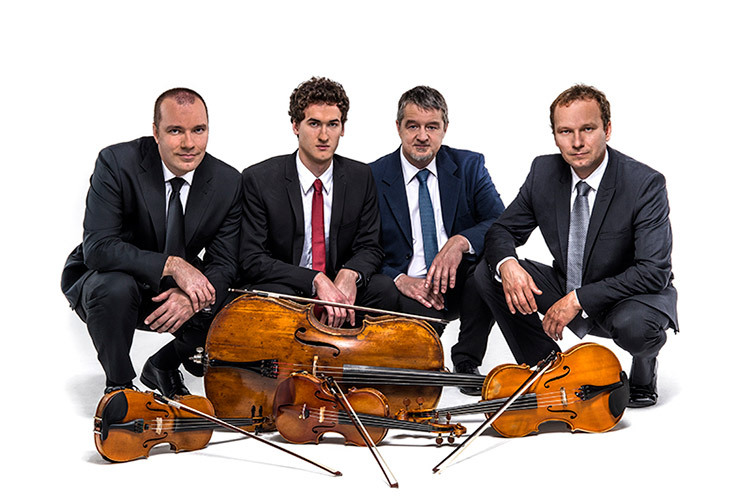 It should be noted that during that period, news and novelties brought by Musical Bienalle Zagreb (Muzi?ki bienalle Zagreb), reflect greatly on the repertoire of the ensemble which performes the latest domestic and international quartet achievements. In the year 1987, Goran Kon?ar comes to the position of the first violin, marking the beginning of another new period. On that position he stays all the way to 2012, along with Goran Bakra? and later Davor Philips (since 2001) on the second violine, viola players Ante ?ivkovi?, with Hrvoje Philips since 2005, and Martin Jordan on cello (since 1991). 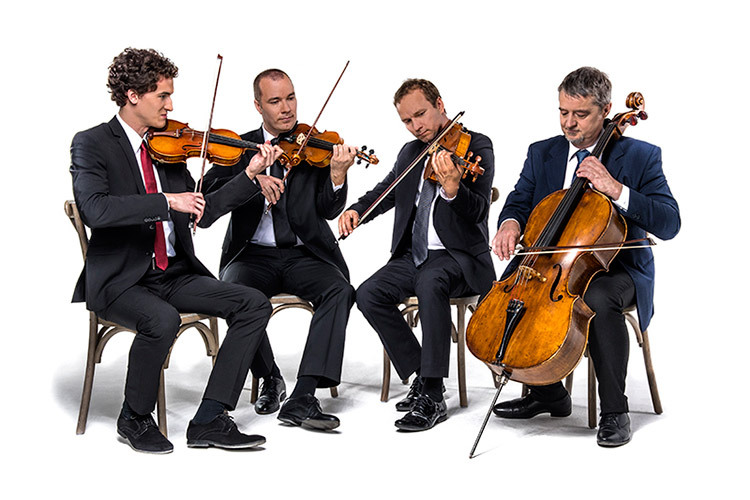 Those times were marked by cycle of concerts in Mimara Museum and Croatian National Revival Hall (Preporodna dvorana) of National Home, and since 2008 in Croatian Music Institute (Hrvatski glazbeni zavod), where the season of Zagreb Quartet is held until present. The reputation of the ensemble is confirmed by international tours and hostings held in 1990s, on which they particularly try to rise the awareness of ongoing war state in Croatia. Tours were held from Concertgebouw in Amsterdam, Rudolfium in Prague and St. Johnâ€™s Smith Squarea in London to the United Nations headquaters in New York and Guangyuan Concert Hall. 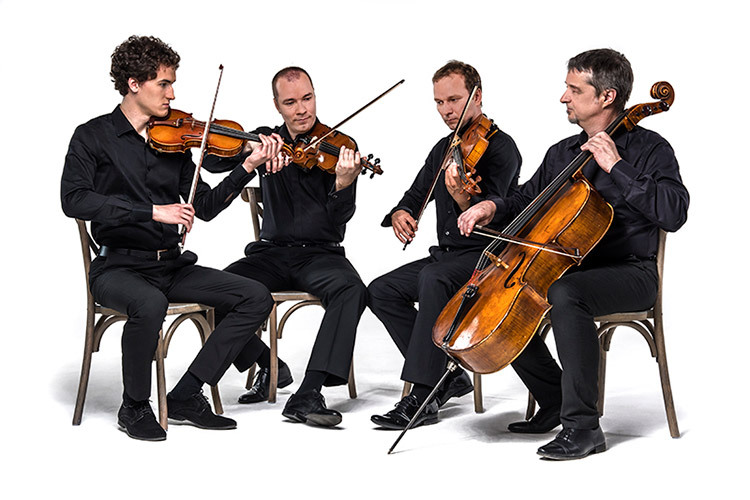 They performed major compositions like Bachâ€™s Art of Fugue, Beethovenâ€™s last string quartets. One of the perfomances that should be singled out is Joseph Haydnâ€™s Last Seven Words of Christ, performed in the crypt of St. Anneâ€™s church in Jerusalem. In 2012, Sergej Evseev and in 2014, Marin Maras briefly take place as the first violin, to be replaced by the season 2017/2018 by Martin Krpan, in line up with other members: Davor Philips, Hrvoje Philips and Martin Jordan. 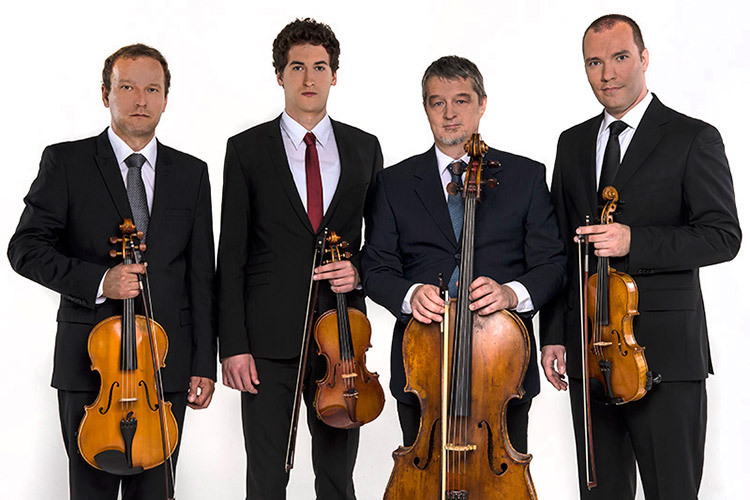 Rich discography of the Quartet, recorded throughout almost two decades, includes records for Jugoton, PGP RTB, Melodicom, Sastruphon, Nuova Era Records, ZYX Classic, RCA, Da Camera Magna, Croatia Records, ZG Zoe, Cantus/HDS and many others. Last album â€“ cooperation Leo? 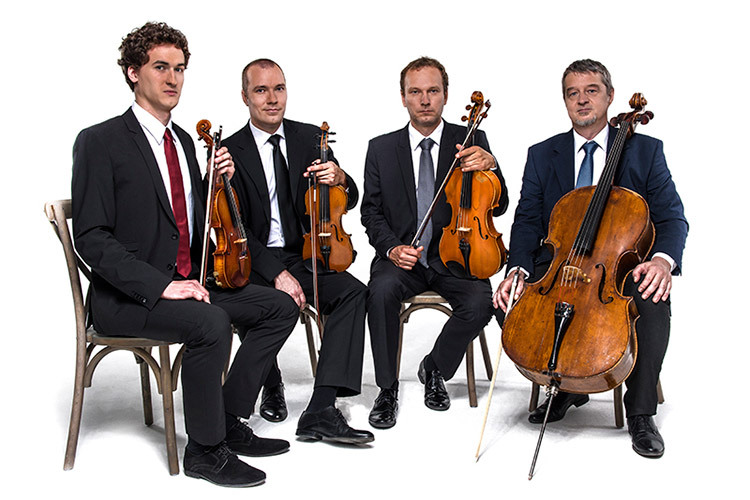 JanĂˇ?ek quartet and AntonĂ­na Dvo?Ăˇka quartet â€“ was published by Spona Classics label. Numerous rewards and prizes include most significant nacional awards: Zagreb City Award in 1957 and 2001, Milka Trnina Award, Vjesnikâ€™s Josip ?tolcer Slavenski Award, Vatroslav Lisinski Award, Vladimir NazorAward both annual and the lifetime achievement award in 2009.